In metal (or at least the type of metal that could be loosely classified as 'Trve' – i.e. leather, not spandex) vocalists are descended from three distinct character classes. There is The Magus (the grand vizier of truth and illusion; one who sees through the veil - Ronnie James Dio is a good example), The Beast (most low and accursed; a grunting ork warrior who lusts only for blood and triumph in battle - see Cannibal Corpse's Chris Barnes) and The Penitent. The Body's Chip King hails from the latter category. The penitent is a man torn to pieces by the uncaring universe; screaming for his life in the talons of some gargantuan animal which may or may not be a metaphor for the hellish depths of his own soul; utterly dwarfed by the hideous undulating movements of the world around him, like a sand crab crushed by a tank track. The Penitent is a man in pain, and the men behind the deadly serious assault of Christs, Redeemers know a thing or two about pain. Both the giving and receiving of it. Christs, Redeemers starts unexpectedly, with a looping, woozy choir and a female sung folkish lament. The vocal is warm and clear – almost welcoming - and it's only in the tracks final minutes, as the wooze sours and begins warping and blurring at the edges that you realise that you've been had. By the time the first perfectly weighted hammer strike of churning guitar and filth encrusted drums comes down on your head you're on the floor with your legs uncontrollably kicking like that poor sap in Texas Chainsaw Massacre - a pig ripe for the hook. Choirs and folksy elements are nothing new in metal, of course. These combinations of the sacred and the profane go back at least as far as Black Sabbath's clanging church bell. What makes The Body such a different proposition is the way that these purified ingredients are utterly degraded by the filth surrounding them. The sweeping strings and choir of a track like ‘An Altar Or A Grave’, while initially threatening to push the album toward bathos, give way to ‘Failure To Desire To Communicate’’s punishing crackle and roar, which wouldn't sound out of place on a Werewolf Jerusalem or Taint record. Sure, the crossover between extreme metal and harsh noise is a much more established one these days, but The Body never sound like they're incorporating these elements for the sake of it. Each usage evokes something, a feeling or an image that suits the conceptual thrust of the album as a whole: a broken spinning turbine, the clang of heavy machinery, rain falling onto a punctured tin roof. What message The Body are choosing to impart is pretty much obscured due to the impenetrability of the lyrics. 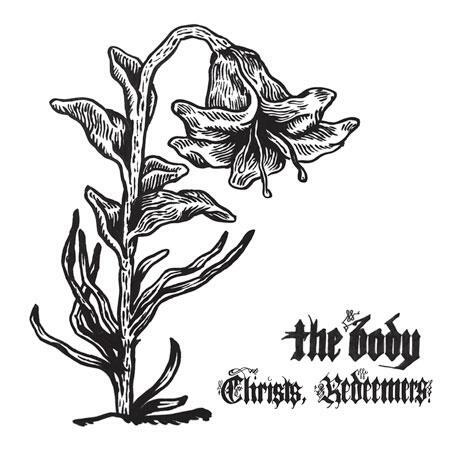 I would hazard it is not a positive one, seeing as the vocalist sounds disgusted by the sheer fact of his own existence throughout, but none the less the images the album conjures are strong enough in their own right to give Christs, Redeemers conceptual weight. It can't be overstated how important the seamless introduction of noise elements serves to lift The Body beyond the reach of pretty much every other extreme metal band. A track like ‘Shrouded’, for example, is little more than static and a steady, defeated pulse with the vocals set into the far back of the mix, like a man being drowned in wet cement, yet it sounds so hopeless. It sounds like weakness and despair and is brutally affecting. More so than a lot of more 'traditionally' played music in the genre. That all of these separate elements come together without ever compromising the album's impact is a testament to the vision and surprising levels of compositional depth that The Body bring to play. No one element is ever allowed to dominate but, rather than spreading their ideas too thin this serves to fill the album with variety while ensuring it never wavers from its nihilistic mission. I've been listening to it for two whole days now and I'm still discovering new features, like a man up to his arms in tar pulling out body parts and splinters of bone. In a year that's been dominated by the spectacle of former noise musicians funnelling their abrasiveness into more conventional arenas, Christs, Redeemers is a welcome fetid volley from the keep-noise-hideous brigade and an album that will keep you horribly transfixed for a long time to come.